Hi there, anyone try this? https://www.amazon.com/gp/product/B0...AOJVAORC&amp;psc=1 Does it fit? Thanks in advance. Hi there, anyone try this? One of the reviews says it fits, but personally having the cable just poking up out of that location would drive me crazy. 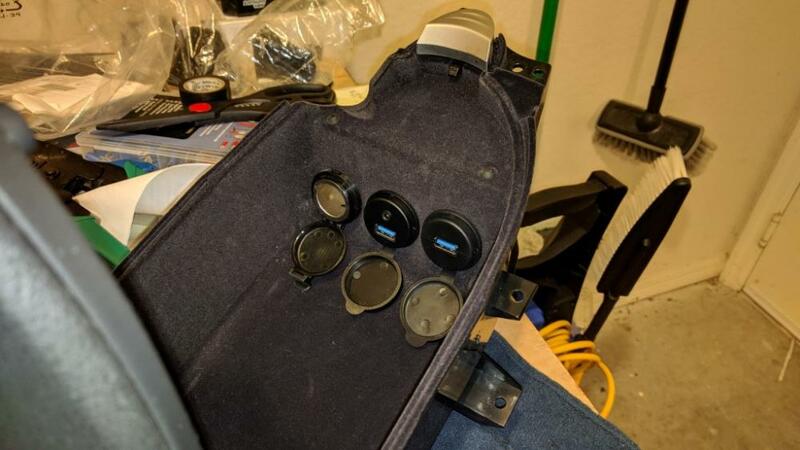 It might fit, keep in mind that if you're thinking about using this for android auto or apple car play I know a lot of aftermarket head units are REALLY finicky about the usb cables you use to connect your phone to the head unit. Good point, mine has issues with cheaper non-3.1 cables. It runs a lot of data to the HU. The device linked doesn't seem like something that would work for android auto. Looks like it's designed to plug into the USB port on the factory HU (mp3's). I use a USB outlet where the 12v outlet under the glovebox was. Looks like the ones Jayhovah posted. Been working great, and keeps the cable hidden since I use a proclip mount next to the headunit right by it. Last edited by CRiZO; 01-24-2019 at 05:00 PM. to replace the 12V plug under the glove box.